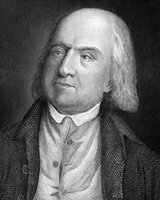 Jeremy Bentham 15 February 1748 6 June 1832 English Jeremiah Bentham Alicia Whitehorn Lawyer, Philosopher English Philosopher and Political radical. Today he is primarily known for his moral philosophy, especially his principle of utilitarianism, which evaluates actions based upon their consequences. A list of popular Hindi Jeremy Bentham quotes are given below.